improve mood, energy, productivity and the quality of awakening. It also has a sunset button that works in reverse to promote sleep. 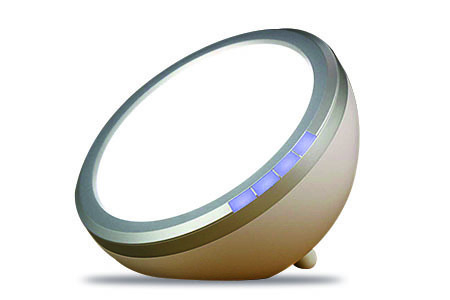 There is the option of adding sounds, a choice of three sunrise periods – 20, 30 or 45 minutes – and the light intensity is adjustable. 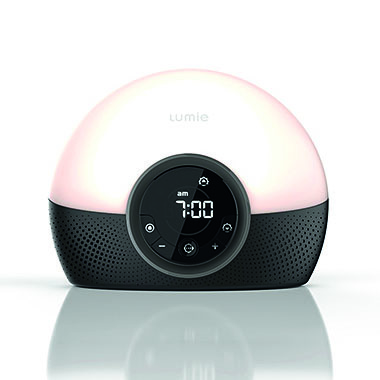 Testers found it a much more pleasant wake up experience – particularly with the blackbird sound effects – than a conventional alarm and it did seem to assist with falling to sleep, too. Both those factors contributed to an improvement in energy levels in subsequent days. into several sessions across the day. Our tester found the default setting uncomfortably bright, but it can be altered to one of ten light levels. There is a timer function to switch it off automatically. Using it while working at a desk, did prove effective and our tester felt more energised while the after-lunch slump was less noticeable. sensor to attach to your pillow to tell you about how you have slept. 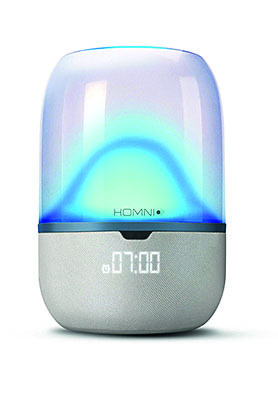 Our tester used Homni for waking and getting to sleep but didn’t need the additional features on offer. 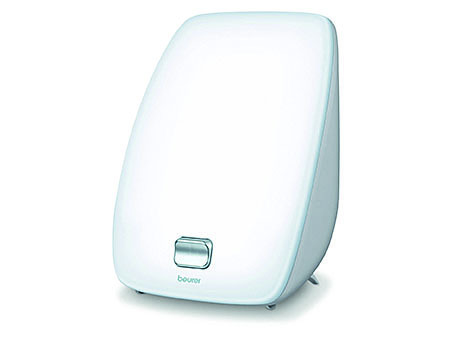 Once this stylish lamp is plugged in and switched on, simply press the button and it emits an intensity of 10,000 lux from one energy-saving 45W bulb that is both flicker and UV free. It’s recommended use is one hour at a distance of 30cm – ideal while reading, watching TV or sitting at a desk. It was very bright and didn’t have any dimmer settings and our tester found it best positioned to the side. One hour was enough and the base of the lamp got quite hot in this time. However, after using for four or five days, our tester felt more energised in the mornings. She also felt less sluggish and more motivated.